The Top-Force is back! This is a limited-edition re-issue of the Top-Force (2005) model, with one minor change - different tires are now included. 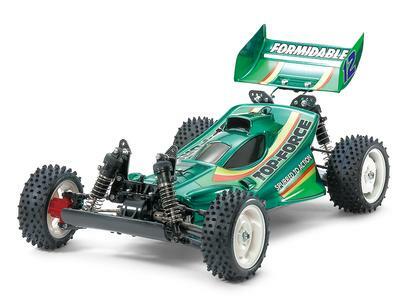 The 4WD buggy Top Force was initially released in 1991, to celebrate the release of Tamiya’s 100th R/C car. Designers incorporated feedback and experience gained over the years to produce a purebred racer like no other! Designed to possess an ultra-low center of gravity, the Top Force sports a body that is both aerodynamic and cool to look at! 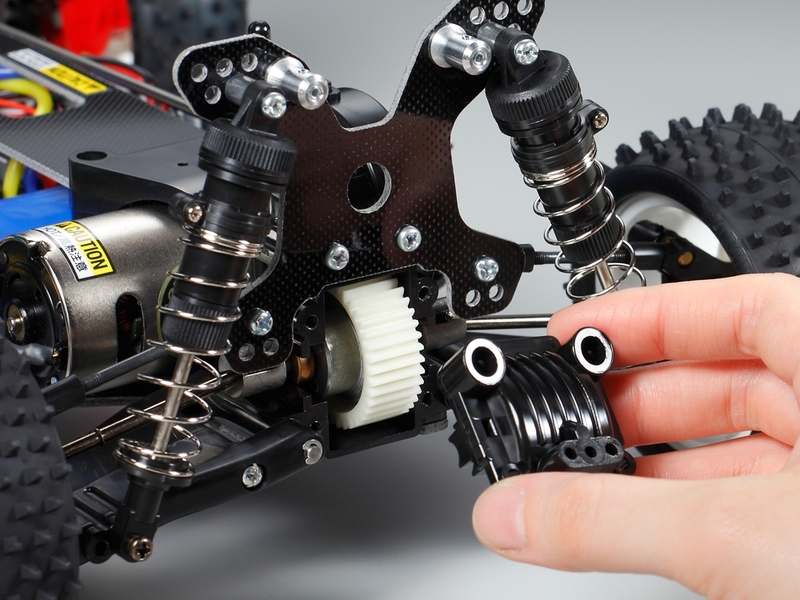 The Top Force features front and rear sealed gearboxes, sandwiched between 2mm FRP plates for dependable durability. 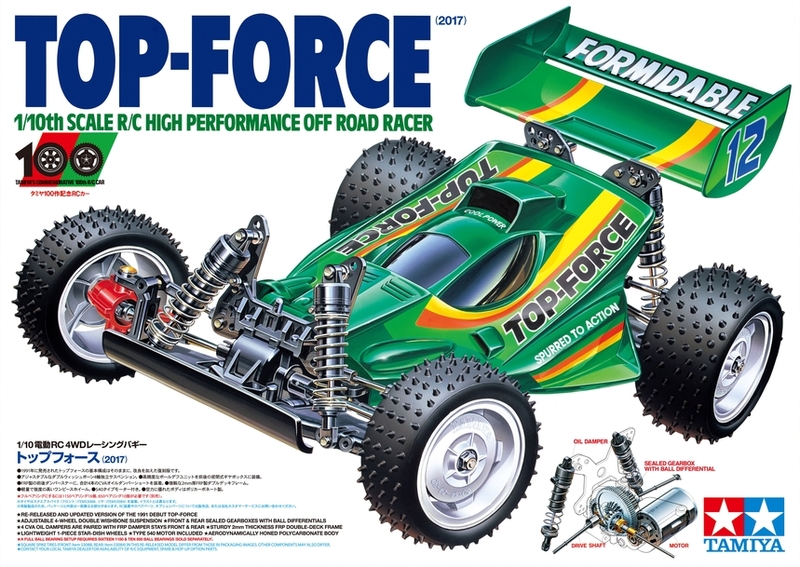 That style would later become a standard for R/C touring cars, demonstrating just how revolutionary Top Force was. Transmission system features a hard propeller shaft and front/ rear ball diff. Double wishbone suspension comes with 4 CVA shock dampers, and is designed for ultimate adjustability. •	1/10 scale shaft-driven 4WD R/C model assembly kit. Length: 400mm. •	The distinctive Top-Force body and wing are molded in lightweight and durable polycarbonate. Marking stickers are included to decorate the body. •	Shock damper stays are made from FRP and are used in conjunction with oil shock dampers and the 4-wheel independent double-wishbone suspension for superior handling. •	White nylon star dish wheels are paired with square spike tires (Items 53084/53088). •	Front and rear ball differentials, plus a rigid propeller shaft ensure that power from the rear-mounted transverse motor is transmitted smoothly to the wheels. 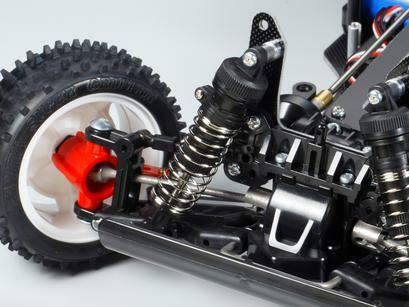 •	Requires 2-channel radio with ESC, 7.2volt battery with compatible charger, and Tamiya PS paint to complete. 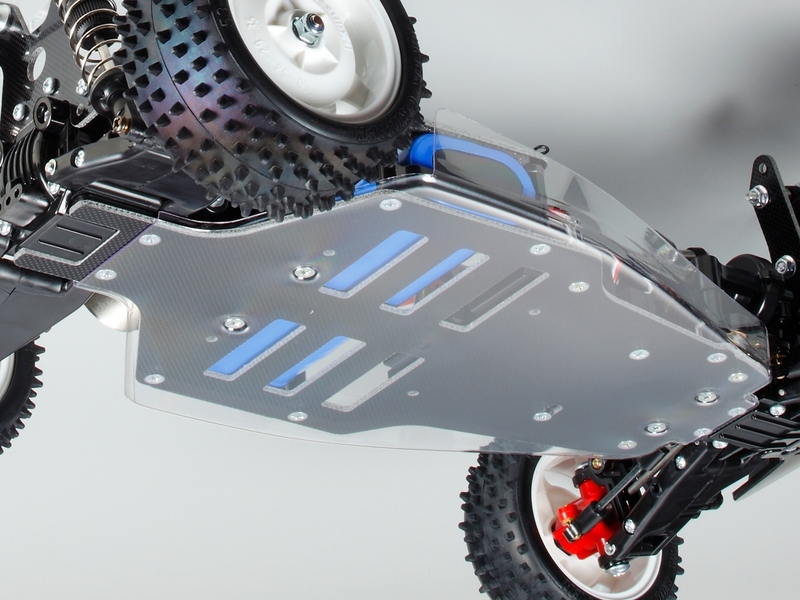 Requires A Requires 2-channel radio with ESC, 7.2volt battery with compatible charger, and Tamiya PS paint to complete.